So you want to know more about Steel on Steel and what we do? For nearly 30 years, John Loeffler’s Steel on Steel program has been the ‘Rosetta Stone’ to help decode the rhetoric of the Progressive movement and defeat Dialectical Postmodernism. His command of history, science, economics and theology, combined with thoughtful and informed insights, cut through the fog of the other pundits’ narratives, right to the core issues plaguing society today. Our weekly program is dedicated to decoding the worldview assumptions held by those in positions of power and influence. John and his guests challenge those notions by getting past the rhetoric and really drilling down to the underlying issues. He promotes the sharpening of perspective using history and logic as a guide. Each week we feature investigative news commentary, geopolitical and religious insights, competing worldview analysis, in-depth guest interviews, round-tables, and debates on hard-hitting, and often controversial topics, much of which you will not hear elsewhere. If you find Steel on Steel beneficial, consider supporting us with your paid membership to the full show. Memberships start at just $10 a month. Subscribe to listen to the full weekly program and decades of archives. or listen to the Short Show on all the major podcast players. You can also support what we do by donation. Thank you! Are you a broadcaster and would like to air Steel on Steel on your radio station or network? Learn more here. Since 1990, Steel on Steel has aired weekly as a nationally syndicated radio talk program. For on-demand access to the weekly 2+hour show and archives spanning nearly two decades, you can listen right here by subscribing for just $10 a month. If you just want to check us out with no commitment, start with a 1 month free trial membership. You’ll get the entire show, including the Section 6 Intelligence Brief, accessible on all your devices. 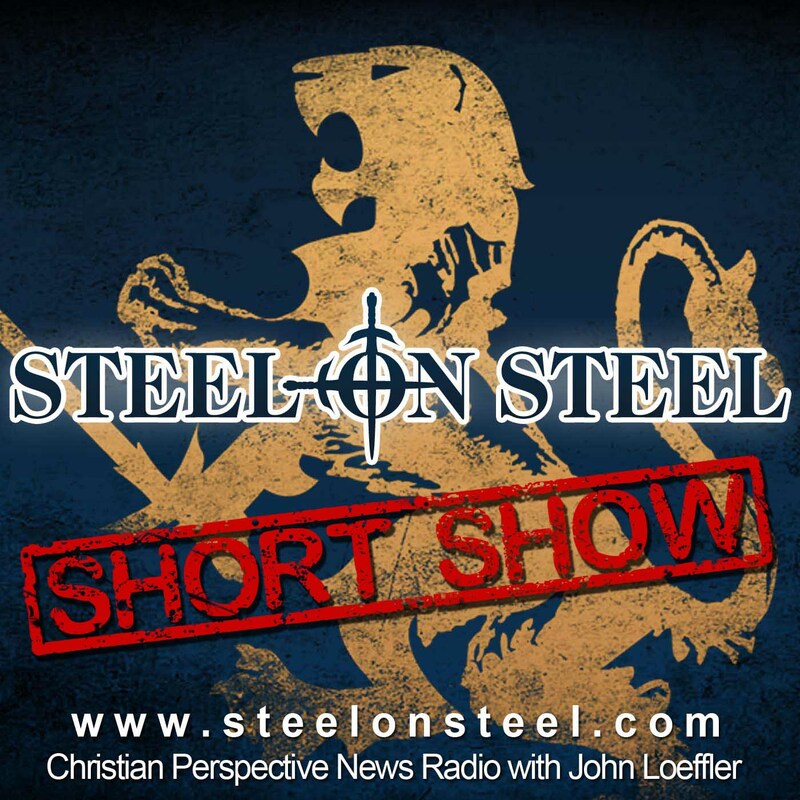 We publish a free half-hour version of the weekly program which can be found in all major podcast directories called ‘The Steel on Steel Short Show‘. You’ll find the most recent show and several past episodes which we encourage you to share with friends. Listening on a mobile device? We also have mobile apps for iOS and Android that you can access the weekly program through. The 90 minute radio version can be heard on many AM and FM radio stations nationwide, every weekend. Check to find out if your local talk radio station carries our show in your area. For nearly thirty years, news radio has been the main focus here at the Steel on Steel studio. However, it’s not just the Steel on Steel Radio show that keeps us busy. We produce high quality audio for public radio and internet podcasts. Our highly trained staff records, edits, and produces some of the best audio on the market today! Do you currently have a radio program or podcast and want that professional sounding edge? We can fully produce multiple voice, radio quality programming with intro and outtro bumper music and midstream transitions, adding that well-polished quality that sets you above your peers. Not a current member? Subscribe to listen to this entire episode, including the weekly Section 6 Intelligence brief, and more! Follow us on Twitter @steelonsteelpro as well as the Steel on Steel Facebook page and remember to join Praying for Persecuted Christians for the latest information concerning persecuted Christians around the world. Don’t forget to stop by our YouTube channel as well for our latest videos. Copyright 1990-2018 Steel On Steel, All Rights Reserved.